Glencore again began supplying Eskom with coal from its Optimum unit after a standoff over the quality and the price, acting Eskom CEO Brian Molefe said. “As from this morning they started supplying the plant again — at the contracted price. So from nine o’clock this morning, Glencore, through Optimum has been supplying the Hendrina plant with coal.” Molefe told a media briefing at parliament. Glencore gave in after a meeting late on Thursday, at which he reiterated that Eskom was intent on suing for damages because it had been forced to buy coal for its Hendrina plant on the open market after the company demanded a massive price increase. “We refused to pay them a price that is higher than had already been contracted, and we’re insisting on collecting the penalties that accrue on that agreement. So it is simple straightforward implementation of an existing contract, but they thought that by saying that they will stop supplying, we will pay, jump up and down and sign an increase from R150 a tonne to R530 a tonne,” he added. Glencore responded by placing Optimum Coal Holdings and the colliery into business rescue proceedings in August in a move that put at risk more than 600 jobs. 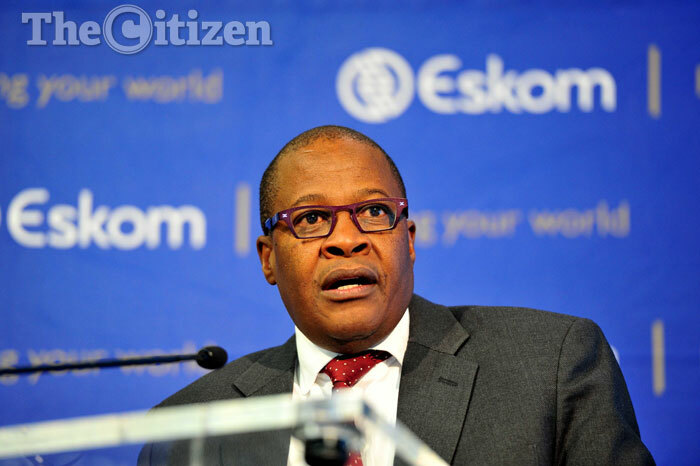 Molefe said the manager of the rescue programme again contacted Eskom to demand the utility pay the increase. “He stopped supplying. He hasn’t supplied until this morning,” Molefe said. “Last night we had meeting, and I called them in and said: ‘Guys, you see your strike did not work. We haven’t had loadshedding, we haven’t had your coal, we have found coal for Hendrina and we have been buying coal in the market, cheaper than R530. Eskom’s has been preparing a R2-billion damages claim against Glencore for some time. Molefe said whether or not the utility would succeed was in the hands of the courts, but he could not in good conscience claim tariff arrears from ordinary citizens in Soweto and allow Glencore to walk away. Molefe went on to suggest that Glencore had merely claimed that weak commodity prices was forcing it to shut down the colliery in a bid to hold Eskom to ransom. He said he found it “interesting” that while Optimum was placed in business rescue it continued to mine coal and stockpiled it. During the tug of war, Molefe had claimed that the quality of coal supplied by Optimum had been declining for years, to the point of damaging equipment at the parastatal’s power plants. Optimum denied this. Its 30-year-contract to supply Eskom with coal runs until 2018.